We recently wrote about the upcoming change to Google’s search algorithm and its importance for webmasters and marketers to ensure that their sites are mobile-friendly. Beginning on April 21, the company will begin using information about whether a site is mobile-friendly or not as a factor in its ranking in the search results. If the growing prevalence of mobile usage hasn’t already convinced marketers of the importance of having a site that works well on mobile, Google’s announcement should certainly inspire everyone to ensure that their website is prepared. Google’s Gary Illyes provided some valuable additional information about the company’s new ranking factor, explaining that it is run in real-time and that it works on a page-by-page basis. According to a report by Search Engine Land, Illyes was asked about when webmasters need to make their sites mobile-friendly to be certain that they are not negatively impacted by the change on April 21. He explained that because it runs in real-time, it can be done any day. As soon as Google picks up on the change, the website will begin to benefit from the new mobile-friendly algorithm change. 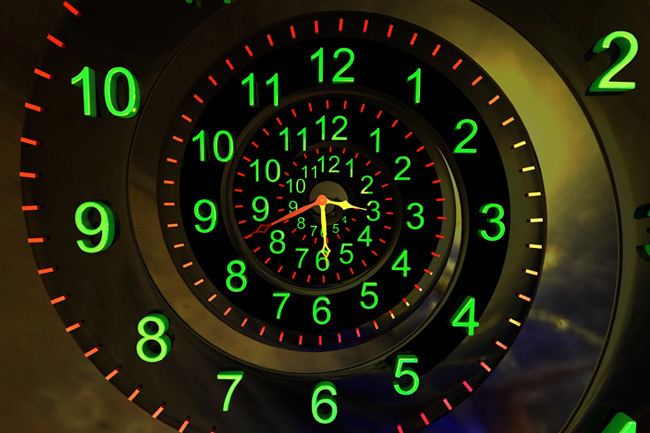 However, one detail that remains unclear is exactly what real-time means in this context. Is it real-time in the sense of as soon as Google crawls and indexes the page, or is it real-time in the sense that it checks at the time when the query is entered into the search box? Search Engine Land is speculating that it is the former case, which would mean that depending on how often Google crawls and indexes your web pages, it’s important to time it so that you can get all of your pages mobile-friendly by the April 21 launch date. Perhaps the company will provide more information about this detail soon, but for now, it’s safest to assume that this is the case. Another important detail in Search Engine Land’s report is the confirmation from Illyes that the algorithm is run on a page-by-page basis. For example, if you have 20 web pages on your site, and 10 of them are mobile-friendly and 10 of them aren’t, the pages that are mobile-friendly will benefit. Certainly, making all of your pages mobile-friendly is important, not only for Google’s ranking but also for visitor’s ease-of-use considering the massive growth in mobile usage. However, on some websites, there are certain pages that are very difficult to make mobile-friendly. In this scenario, the fact that the algorithm is run on a page-by-page basis is good news. If you are unable to make your entire website mobile-friendly before April 21, you will still be able to benefit from the algorithm change for the pages that you’re able to change in time. Overall, it’s clear that having a mobile-friendly website is an essential component of the online presence for auto dealerships and businesses of all types. According to Internet analytics company comScore, Americans now spend 60 percent of their digital media time on mobile. Another interesting piece of information comes from a Yahoo report last August, which stated that many consumers are now using their smartphones while at home. Google’s algorithm change and the continued increase in mobile usage both signify the importance of mobile-friendly websites. If you’re unsure about how well your site performs on mobile, Google offers a valuable tool to test websites for mobile compatibility. Now is the time to ensure that your site is ready! 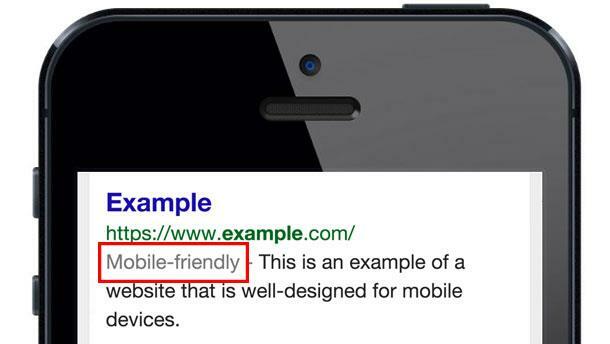 As of end of February, Google has made it crystal clear that mobile friendliness is among the factors in site rankings on SERPs and its importance is only going to increase. If you have been ignoring the calls for making your site responsive to all modern devices, including smartphones, tablets, phablets or any other fancy names, then be prepared to lose out on the traffic you built over the last few years. Most of us were aware that sooner than later the searches originating from mobile devices are going to become significant enough for search engines, including Google, to start making changes to the way search results are ranked. The time has finally come and Google first started with clearly indicating “mobile friendly” tag in the search results, both on desktops as well as mobile devices, in the last month and a half. It was a signal that Google considers it a bad experience for users to send them to sites which may not open properly on their handsets or tablets. And Google does not like giving a bad experience to searchers. It was an indicator that Google may make changes to the ranking algorithm keeping the requirement of mobile users in mind. As of April 21, Google will officially implement this change. Mobile users, while searching through their handhelds, are going to see mobile friendly sites among the top results while non-friendlies will move down the order. As of now, this seems to be the case only for searches originating from mobile devices but Google has not been known to display different search results to the same people just because of the different devices used by them during the course of the day. Another interesting announcement by Google is that the content from Apps will also get prominence in search results as more and more people getting dependent on Apps for their daily chores & entertainment.